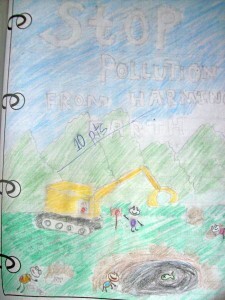 This is one of my favorite posts from 2010 about my son’s (who was in 4th grade then) take on environment protection. Read on. 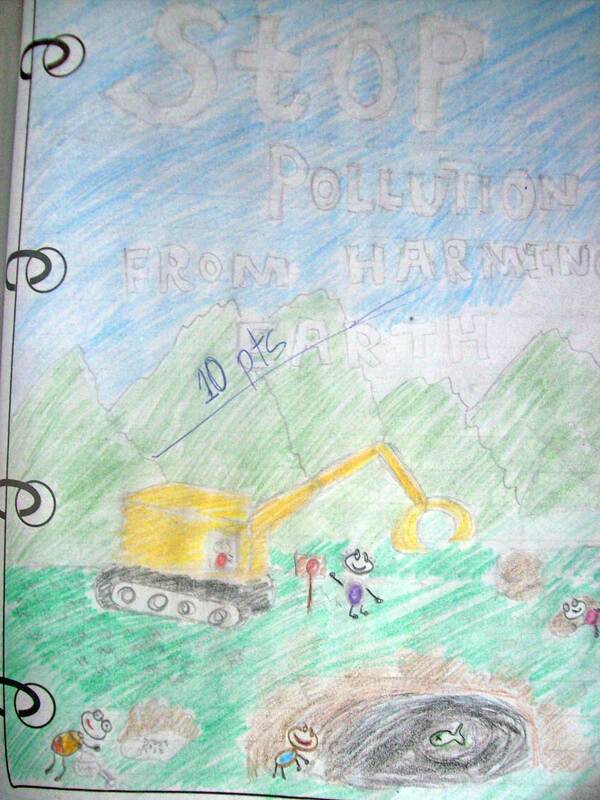 Last school year, my son’s 4th grade class was assigned by their teacher to draw something about preserving the environment and write a paragraph about their drawing. My son submitted this simple drawing, but I feel proud of what he wrote to describe the important points of his drawing. He is only 10 and yet he is aware of what people can do to take care of the environment such as avoid illegal logging and incessant use of fishnet to catch small fish. 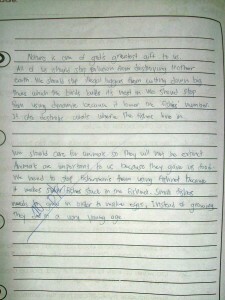 My son could even mention about recycling in his essay. For example, to donate or sell used books so other students can still use them and lessen the number of trees being cut down to produce paper…Khalil scored 10 points each for the drawing and essay. 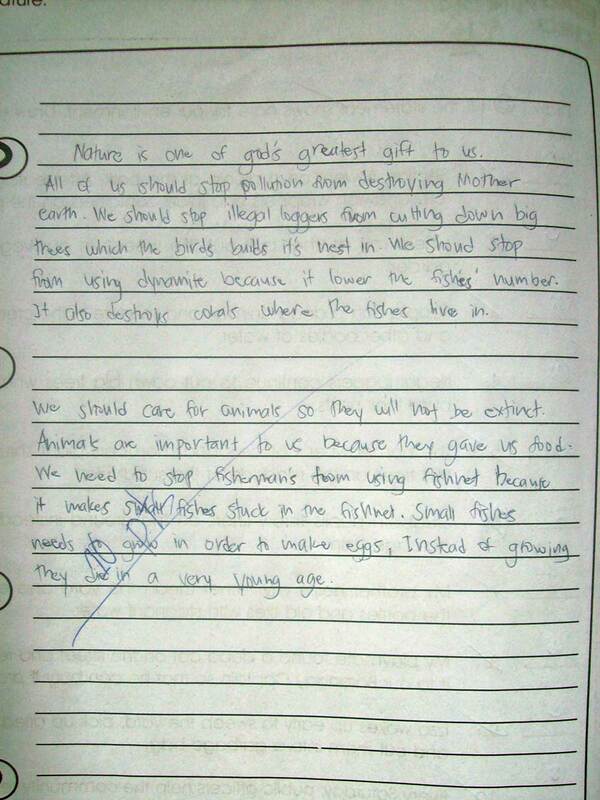 Ten is the highest point given by their teacher for the assignment. i think children these days have more awareness when it comes to protecting the environment… your son included. we must indeed do our share. and that is a very nice drawing that he made. Thanks, marce. Mas aware na ang mga kids ngayon because of the information they get from the Internet. korek! thanks to the internet and social media, it is easier to make people aware about many different things.